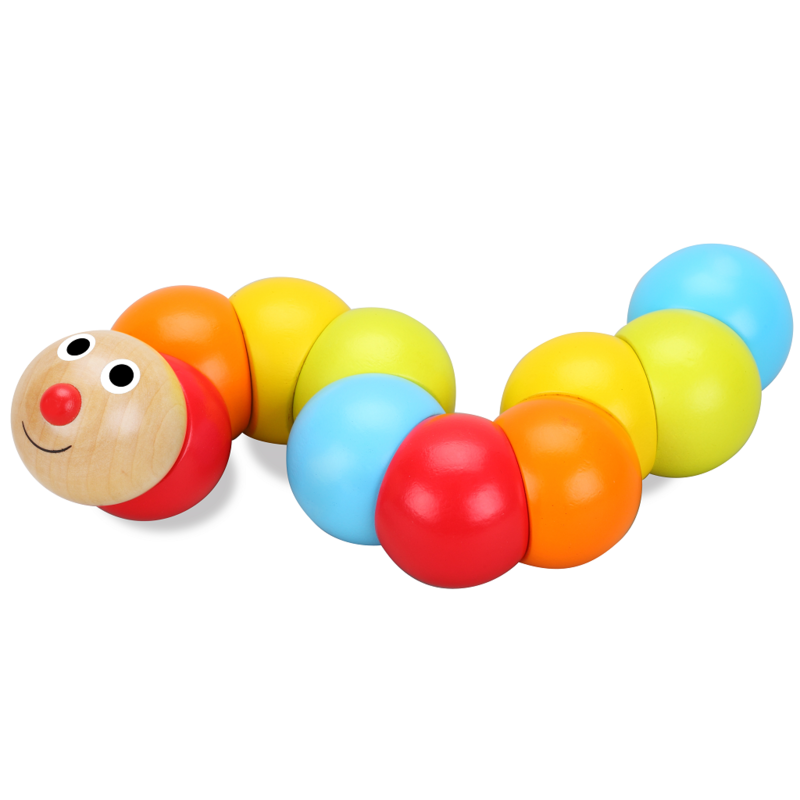 Just the right size for toddler's hands - this wooden caterpillar toy is fun to twist and bend. It's made of durable wooden balls and strong elastic meaning it will stand even the roughest of play! The caterpillar is bright and vibrant which promotes colour recognition whilst the twisting and the bending develops fine motor skills. Box contains: 1 x Classic World Caterpillar.